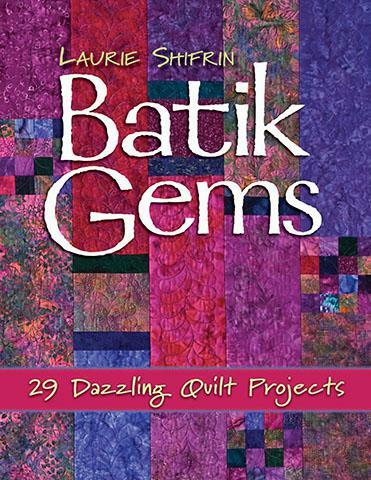 These quilts celebrate everything that's glorious about batiksthe rich colors, the exotic prints, and the dramatic effects you can get with easy patterns. Laurie makes it easy to crate your own masterpiece with complete howto instructions and lots of tips on fabrics, tools, and techniques. PB, 96p, color, 8.5"x11", ISBN: 9781571205605, 2008.